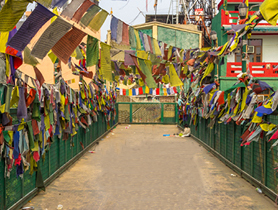 The narrow, winding alleys, colorful Tibetan flags hone the beauty of a small over bridge leading to the alleys, and soft, meditative music playing in the background. You are at the right place then. 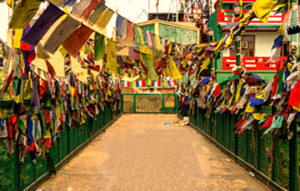 The Tibetan prayer bells in the background and some Buddhist monks roaming around, the place is a paradise for shopaholics, and anyone who loves to eat authentic Tibetan food. Don’t worry to get lost into the lanes, it’s sure to be one of the beautiful things that can happen to you.